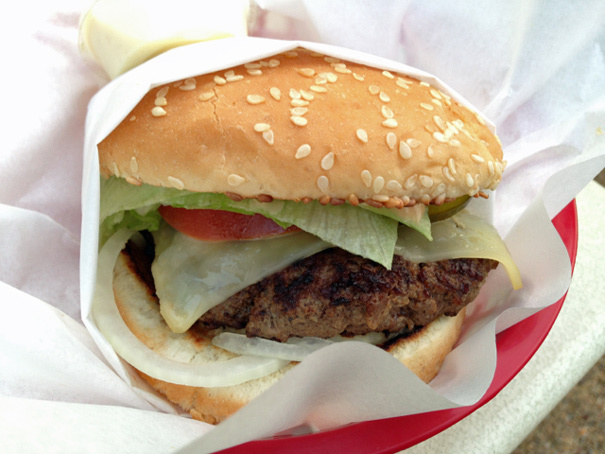 That, by the way, is the burger from The Oinkster which isn’t as good as the pastrami sandwich. But let’s focus. How culpable is Skylar? Are we still hating her after her awkward Op-Ed in The New York Times? It’s hard, with her, to separate the character from the actress who plays her. As a character, I find her mostly sympathetic; filtered through Anna Gunn (who just won an Emmy), she’s slightly grating. And have you ever noticed that she and Walt’s entire marriage was built on cooking Walt Jr. breakfast? 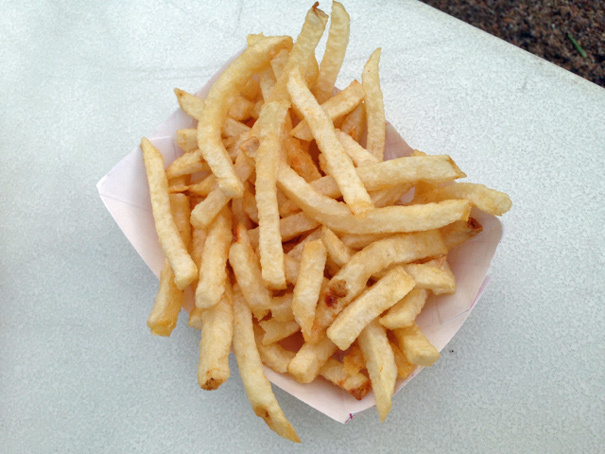 These French fries were good, not great, but the ketchup was special (made in-house). Walt Jr. is a strange character in the Breaking Bad universe because, unlike all the other characters, he doesn’t seem to make choices or do things that affect the plot in any way. He’s a functional character: he’s there to reflect Walt back to himself (it’s no coincidence that Walt Jr. changes his name to Flynn; being Walt’s reflection would be more than most people could handle). What made last night’s episode so significant was Walt Jr.’s absolutely crushing rejection of his father; his imperative “just die” was, perhaps, the show’s final turning point. Everything Walt has done for his family–all of that money piled up in a barrel–is violently thrown back in his face. Nobody wants it. Nobody wants him. Which brings us to next week’s final episode. I’m not sure how it will all end. We know there’s a machine gun, we know there’s a ricin tablet. Is that for him? Who else might he kill with it? Do Skylar and Walt Jr. make it out alive? What makes the most sense to me is that Walt, at the end, doesn’t die but rather has to live with what he’s done. Which suggests there’ll be one more great tragedy thrown his way: does Walt kill the Nazis without knowing Jesse’s there, Jesse escapes, and–as the final terrible act–Jesse kills Skylar or Walt Jr. before killing himself? Anything’s possible in this dark, brutal universe. 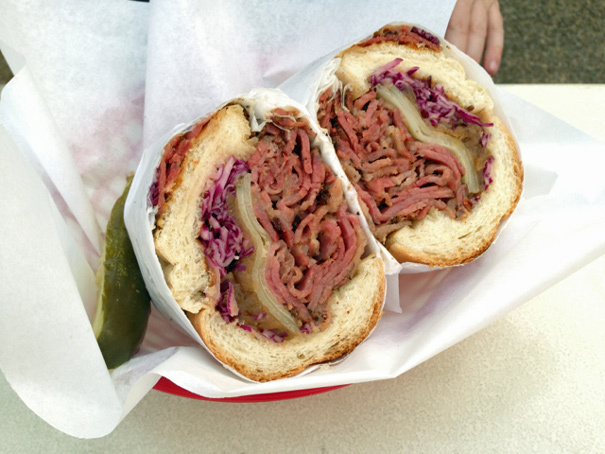 Only one thing’s for certain: if you go to The Oinkster, get the pastrami. It’s good stuff.